While the unemployment rate for veterans has been declining over the last few years, many are still struggling to find civilian jobs. This seems to stem from both the veterans themselves not feeling adequately prepared to make the transition from military to mainstream, and from employers thinking that many of the skills acquired during military service don’t translate to the civilian labor force. The skills and strengths former military personnel can bring to your company are numerous and varied. If you’re uncertain how some of their experiences relate to civilian job needs, here are some things to keep in mind as read the resumes of job-seeking Veterans. · Look past specifics of their roles in the military to see instances of creativity, leadership, independence, initiative and technical expertise. Veterans, by the nature of their jobs in the military, are often good at creatively solving complex problems and quickly develop confidence in their abilities to lead others early in their careers. · Many Veterans have developed strong planning abilities and good competitive analysis skills. 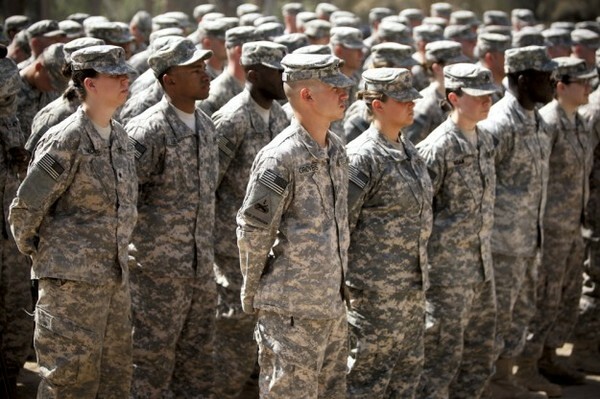 · Performance coaching occurs regularly in the military. Those who have performed the coaching, as well as those who’ve received it, can bring both a positive attitude toward coaching as well as excellent insights into performance improvement ideas for your company. · Military personnel regularly need to learn new skills quickly in very stressful environments. This encourages the ability to think on their feet and make quick decisions under pressure, which are great skills to have at your disposal in all kinds of civilian jobs. · With the wide variety of personalities in the military, Veterans have had the experience of learning to work well as part of a team with all levels of personnel. They often develop strong interpersonal skills that enable them to work with many types of people to meet desired goals. · Veterans develop a strong work ethic and can be counted on for their loyalty and dedication. When you come from an environment where your life may literally depend on doing your job well, you quickly develop a good work ethic. Most Veterans are hard-working, detail-oriented, have a strong sense of integrity and are driven by a sense of service to their team and country. -Ranks like Private, Seaman and Airman usually have the least number of years in the military but have still picked up some solid experience. They’ve learned how to listen and pick up new skills, how to become part of a team who works toward a shared goal and may even gain some project management experience. -Titles like Corporal, Sergeant, and Petty Officer are those who’ve been promoted to supervisory roles. Many received formal leadership training and are good at both working together with their teams as well as being able to take charge and lead them. As these non-commissioned officers advance in rank, they can go from overseeing one team to many teams, involving responsibility for anywhere from 10 to 500 people, and deal with more and more complicated plans and missions. They can perform very well in a variety of project management, personnel management and supervisory roles. -Ranks such as Lieutenant, Captain, Major, Commander, Colonel, and General often get a college degree before joining the military. These Commissioned officers can use their strong leadership skills for high level organizational planning and developing business strategy. They can often do well in C-suite roles and positions in operations, communications, logistics and human resources. As you consider former military personnel, remember that Veterans may have some difficulty communicating how their skills from their military service will translate to civilian jobs. Try writing job descriptions where the requirements align somewhat with military equivalents, and learn to read into how the experiences they’ve had really can relate to the work you need done. The more aware you are of how to decipher the information you’re given and relate it to the jobs you need to fill, the more opportunities you have for tapping into some great talent that other, less informed employers are overlooking. Learn more about committing to Joining Forces here. And for more information about adding military Veterans to your talent pool, visit our website at www.talentcircles.com, contact us at sales@TalentCircles.com or call 888-280-0808 for more information. Many veterans focus all their efforts on their work and their goal and try to be the best at what they do. Once the client of our company asked to write me a job description where the requirements align somewhat with military equivalents. While I was doing this research, I noticed that veterans respect the evident skills their bosses bring to the job and always concentrate on the ways that they can genuinely help him or her. They never forget that they’re one team. the client of our company asked to write me a job description where the requirements align somewhat with military equivalents. While I was doing this research, I noticed that veterans respect the evident skills their bosses bring to the job and always concentrate on the ways that they can genuinely help him or her.